Riverstone Pointe is a small, gated community near Montgomery, Texas. Located on the shores of Lake Conroe, this quiet neighborhood offers medium to large-sized detached homes that are perfect for entertaining friends and family. Enjoy your own private dock, BBQ area, and pool, as well as the large and luxurious interiors - it's all here with Riverstone Pointe real estate. Riverstone Pointe is near to the town of Montgomery and Conroe, Texas, as well as numerous stores, restaurants, medical facilities, and services. Pick up a property for sale in Riverstone Pointe and you'll be enjoying lakeside living for many years to come. Search Riverstone Pointe real estate in the listings below, or continue reading to learn more about Riverstone Pointe properties! 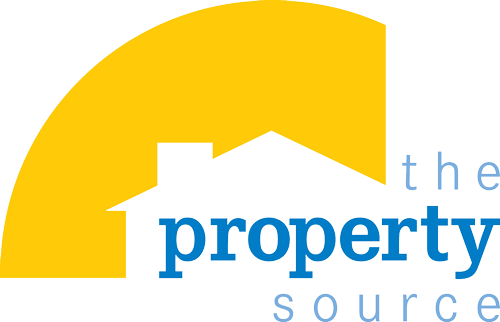 Register with The Property Source Today! Access the full benefits of membership: Save searches, set up automatic e-mail notifications & gain access to new listings as they hit the market. The Riverstone Pointe community features a limited number of medium to large sized detached homes, all with private waterfront access. A small number of properties face onto the open water of Lake Conroe, while the rest benefit from a well-developed canal that runs between the two halves of the development. Being a gated community at the end of a quiet street, the Riverstone Pointe neighborhood experiences minimal traffic, making the area perfect for kids to run around in and play, and for some peace and quiet away from the bustle of the main streets. Homes for sale in Riverstone Pointe are 2-story constructions, with partial upper levels forming charming loft or mezzanine spaces. Other interior features include crown molding, recessed lighting, fully integrated stainless steel appliances, staggered cabinets, large fireplaces, tall picture windows, and walk-in closets. Moving outdoors, properties in Riverstone Pointe have spacious patios with BBQ areas, and many have pools overlooking the water. And because there are still lots open for building, you can make your own dream home and customize these features for yourself. Overall, Riverstone Pointe real estate is perfect for retirees, or those looking for an upgrade. The area is quiet, with waterfront access, and close to many amenities and attractions - all in all a great place to live. Riverstone Pointe is a small gated community situated at the end of Old River Road, off State Highway 105 between Montgomery and Conroe, Texas. Riverstone Pointe properties are situated along the southwestern shores of Lake Conroe, near the end of a small peninsula. Taking the 105 west, residents of Riverstone Pointe can make it to Montgomery in only 8 minutes, and Conroe is 20 minutes away in the other direction. Houston is an hour's drive south. All along Highway 105 around Riverstone Pointe are places to eat, cafes, stores, and services. Most notably, around Lake Conroe Park to the east, there are numerous eateries on the water, and a short distance west there is a Walmart and a Walgreens. Just across the highway from Old River Road, there is a medical center with a number of top-class facilities including an emergency room. The Montgomery area is a popular recreation destination, mostly due to Lake Conroe, a vast 21,000 acre artificial lake that is excellent for fishing and boating. The northern portion of the lake extends into the Sam Houston National Forest, providing further opportunities for camping, hiking, and nature watching. As mentioned, the area is teaming with restaurants, stores, and recreational facilities, including many marine support services like boat storage and marinas. Riverstone Pointe itself boasts tremendous waterfront access, as all the properties are fitted with well-built, private, and coverable docks. Students in the area can attend schools in the well-regarded Montgomery Independent School District.